With the rise of the popularity of Megaways slot games, we thought we take a moment to look at this phenomenon, whether it increases your chance of winning, and how exactly you play on Megaways games. When the Bonanza slot machine from Big Time Gaming came out in December of 2016 something shifted in the cosmos. We’re kidding. The world carried on just fine, but if you’d been playing slots for a while, opening up Bonanza would have felt like a breath of fresh air. It called itself a Megaways slot online and on any spin, how many winning paylines you got shifted – all the way to an eye-popping 117,649 Ways to Win. The phenomenon grew, and instead of keeping this sweet, sweet feature to itself, BTG started licensing out this feature to any other slots studios who wanted to use it. And now we seem to get at least one new game every month with this exciting feature, so let’s take a deep dive into what it’s all about. What is a Megaways online slot game? The eternal question we all ask ourselves the moment we open up these crazy reeled games. A Megaways slot is where the reels can shift in shape on any spin, changing the number of rows per reel, so you have diverse ways to win on each spin. So reel one may have 7 rows of symbols, while reel two has only 3 rows of symbols, reel three has 6 rows, reel four has 6 symbols, reel five has 4 symbols, and reel six has 5 symbols. You will have then have 34,300 ways to win on that spin. However, when you next press spin, maybe every single reel has seven symbols high, giving you 117,649 Ways to Win. You just don’t know, spin to spin, how many ways you get, but you know it’s rarely going to be 243. The reason we mention these is that Megaways mobile slots are rising in popularity a little how the first 243 ways to win game came out. You have to remember that slot machines before that didn’t stray very far from the traditional paylines. Classic slots had 1 to 5 paylines, while video slots could range from somewhere around 10 to 50 paylines. Now suddenly, Microgaming casinos had games where the symbols paid out just by being adjacent to each other on a reel, left to right. You didn’t need to line up symbols in a specific pattern and remember the pattern. Instead, you just had to watch and know that if three of the same symbols appear, one in reel 1, one in reel 2, and one in reel 3, you got a win. Better yet, if you got a second symbol on that same reel, you’ll get a multiplier on your win. Things got interesting quickly. So you get a win when the same symbol shows up on consecutive reels left to right. If more than one symbol is on the reels, your win is multiplied and added as an extra way to win. And it’s not like Big Time Gaming were the first to try and change the winning Microgaming format that made games such as Thunderstruck II and Immortal Romance slot so popular. IGT brought out its iconic hexagonal reels and gave us 720 ways to win in the likes of Siberian Storm machine. By far the simplest way to bring an extra bit of excitement was by adding additional rows. So while 243 ways to win games had five reels and three rows, so 1,024 ways to win games like Treasures of Troy had four rows. Raging Rhino slot by WMS tried to change the format again by giving you six reels and four rows, and a total of 4096 ways-to-win. But you can’t keep adding rows and reels forever because you tend to end up with a huge messy game that is hard to play, but it didn’t stop BTG. They figured that instead of making the slot bigger and bigger, just make it fluid. And it worked. As we said, Big Time Gaming still have the best collection of its type, but you now have a whole host of varying software jumping onboard the Megaways bandwagon. Blueprint Gaming was first to buy the license, and they have been churning out Megaways casino games as if they were going out of fashion, and they are probably our least favourite. They create a whole template of these types of games to bring them out to be seen as an authority on the game but instead seem to be giving them a bad reputation. Other software has been more successful, with Red Tiger Gaming and Relax Gaming bringing out a select few that if not supersedes the BTG games, at least matches them in quality. How do I play Megaways slot games? It’s not surprising that these games tend to be fairly volatile slot machines. That means that they tend to have big wins and big jackpots, especially as so many follow the template Bonanza set, creating cascading wins with multipliers. 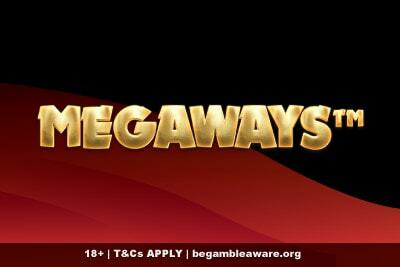 But the point is that there are still a good many different types of Megaways slots, so it’s hard to generalise. The best thing to do is find the game you want to play and read our slot reviews where we define the unique features of each machine. First, you need to select your bet by clicking on the change bet button. All payouts are multiplied by the stake of each spin, so the minimum and maximum bet on these machines can change very dramatically. That said, most will start at a low 0.10 to 0.20 a spin, so these real money games tend to be very affordable. 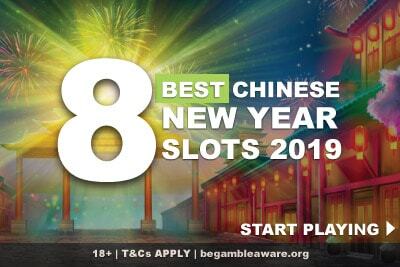 However, because you can win such huge multipliers on these slots, the maximum bet is limited. Generally, don’t expect to be able to bet more than around 10 to 30 a spin. If you want more, then the Battle Ship Direct Hit slot or Temple Tumble by Relax Gaming are your best bets. Once you’ve set your bet, you can press spin. The reels will rotate and finally coming to a stop, display the result. What if you have an extra reel on the top? You’ve probably opened up Bonanza or the Extra Chilli slot and noticed that each have an extra reel on top that spins horizontally instead of vertically. Don’t be afraid, these are counted within your ways to win and adds a symbol to the reel it is above. They don’t show up in every Megaways slot game and doesn’t affect the betting amount in any significant way. Unless you are going to use a particularly advanced slot strategy, it can be beneficial to set the autoplay function in motion, so you don’t have to sit there and tap your screen 100 times. To set up the Megaways slot autoplay function, you have to press the auto button and set the number of spins you want to play at one set bet. If it’s a good provider, they should also allow you to set a loss limit or a win limit. That means that the auto-spins will stop if your budget goes below a certain level, or if you get a particularly big win. 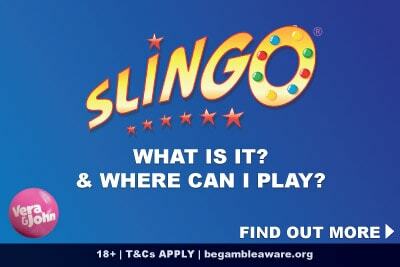 What are the best Megaways slots online to play? There are so many new phone slots with Megaways that come out every month, if this is your jam, save this page. We will update it every time we feel a new one comes out that is truly worthy of your time and money. We are going to go with our top five, because it’s a nice number, and because we want to showcase the 4-star Megaways slot reviews and not just the ‘OK’ 3 stars. This is also a good list of the order you should try them, should you wonder where to start in all this many ways win confusion. The one that started it all is still the best example of what a Megaways casino game is all about. From those cascading wins to those huge multipliers in the free spin round, you’ll be panning for gold long into the night. You can win as much as 10,000 times your bet if you manage to get some decent multiplier during the bonus rounds. It’s not easy, but devoted fans love this game for good reasons. The top two are by Big Time Gaming because they know what they are doing. And while Extra Chili just copied Bonanza, in this Holy Diver slot game they do something totally new and different. With every spin you take, the little knight below the screen will run and open up treasures chest full of wonder. Let him run fast enough, and you’ll trigger free spins or increase the ways to win. It’s worth going up to level 3 and then catching the free spins, as each time you level up, you level up your wins. This Sci-fi futuristic looking machine has 46,659 Ways to Win from the start and isn’t afraid to use them. Instead of giving you multipliers, it just pays well for 6 of a kind wins. Crazy right? Add a free spin bonus where you get progressively richer reels as the symbols upgrade, and what you have in this Machina slot is a more traditional video slot that uses the Megaways to enhance features you already love. Also by Relax Gaming and also 46,659 Ways to Win, but a very different game at heart. The Temple Tumble slot is a 6×6 grid slot where instead of the symbols shifting, you get blocking symbols that don’t pay out. This may seem counterproductive, but you still get the same results as the other Megaways Android games, but a far more interesting visual. Add some cascading reels and the ability to choose from three very different free spins bonus features, and we think this is one of the more interesting ways of using these shifting rows of symbols. Not to be confused with the original Mystery Reels slot, this new version may have kept the same theme, but adds more in every other way. The Mystery Reels Megaways slot game now has a top win of 10,000 times your bet, up to 117,649 ways to win, over 6 reels full of juicy fruits and mystery golden apple symbols. It is by far the simplest of all the games on this list, but that can be a good thing. If you are trying to get your head around how these types of slots work, then this new Mystery Reels game is undoubtedly the way to go. And where is the best place to play? 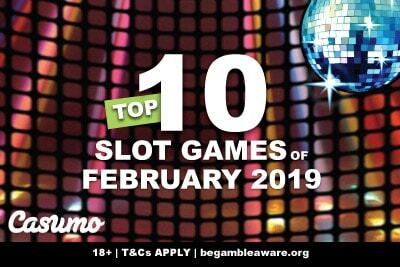 Why Casumo casino of course, who host all these Megaways gems in their vast portfolio, and have a great quick search where you can easily find your favourite. Add a generous welcome bonus and free-to-enter slot tournaments every hour, and we promise you’ll find plenty to entertain.